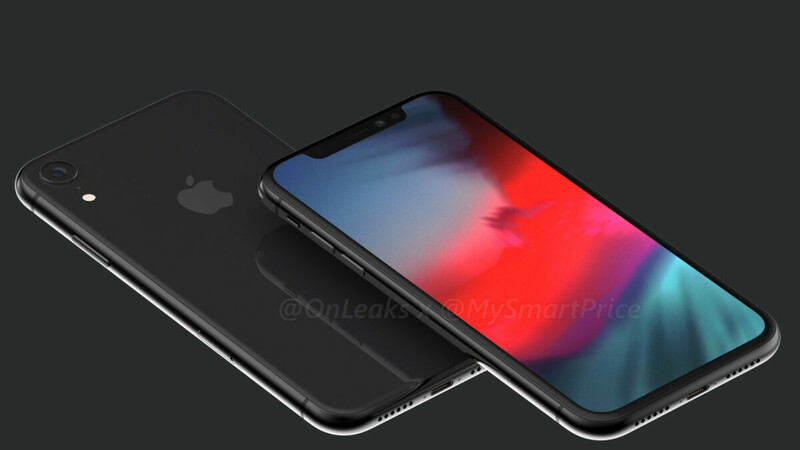 Apple is gearing up to release not one or two but three new iPhones this year, and they will all likely be powered by the first commercial 7nm chipset, the A12, produced in the TSMC foundry factories. Said TSMC, however, just lowered its revenue forecast for the third quarter, citing "lethargic" sales of mobile and cryptocurrency mining chips. Looking further ahead, however, TSMC execs are optimistic for a big recovery in Q4, or right about the time that all new iPhone sales will be in full swing. As per the CEO: "recently the development in smartphone units actually recovered. So it’s better than we forecast three months ago, but it’s not a big variation from what we forecast." A Bernstein analyst added after the earnings press conference that "there is upside to Apple orders but they will mainly contribute to sales in the fourth quarter," and that the "weakness mainly comes from crypto." Adding two and two together, we can reasonably expect that Apple's forecast for the new iPhone 2018 sales is very optimistic if TSMC thinks its orders will be able to offset the chip demand doldrums it is currently in. Analysts are predicting a super-cycle of upgrades (for real this time, not like with the iPhone X) from people with iPhones two years and older, and TSMC better speed up the conveyor belts. As for the 5nm process that made pilot runs at TSMC not long ago, sorry, that one's mass production has been postponed for the first half of 2020, and, potentially, for the groundbreaking iPhones that will come two years from now with an A14 silicon, bummer. iPhone doesn’t has battrey shutdown issue even when battrey reach 9% or less try it on iPhone X. My work iPhone (an iPhone 6S), will shut down right after it reaches 10%. I think I think yeah iPhone 6s has this issue, but didn’t faced this with my pervious iPhone X or with iPad mini 4 at all. Not sure, but I don’t think Apple going to do the same mistake twice. Hey, is FinFet process a samsung invention? It's going to be the best phone off the year. Just like previous year iPhone X. Since S9 is the biggest flop since S2 all Samsuck will do is make some salty ads too mitigate their brain dead fanboys anger. LOL. who knows. iphone 8 and 8 plus outsold the x combined. Because there are two variations of those compared to one iPX? Will get that 5000 in single core score but can't even multitask properly. What are you talking about?! Even 5s is a multitasking beast. It does multitask well after iOS 12 even with beta. That’s true. No split window, no picture in picture, no floating windows, and no multitasking dock. It does fast app switching really good though. with 5000, however, it will render a video in a few minutes. I love adding background music and trim videos on my iPhone 8 plus and fast CPU is very important for such a job. At the moment there's no an Android fast enough to do video editing. Try to add background music in an one minute 4K video on a Samsung S9. You need half an hour to finish. Get it release Apple. My gift cards and money is ready. X plus for me. Hope LG OLED doesn’t comes with issues like pixel 2 xl and Apple fix all pervious issues with there panel . i will skip for the next iteration. I do admire their pushing soc tech further. That is extremely costly, kudos to them and fans that support them. +1 We all win from the drive forward from both camps IMO.